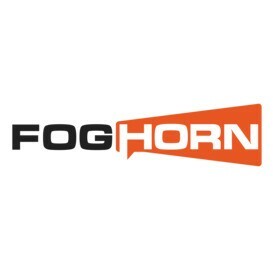 Joining us this week is Sastry Malladi, CTO, FogHorn. · 12 min 52 sec: What will be standard in an IoT environment? · 18 min 39 sec: Are Decisions Close to Edge? Architecture Decisions? · 26 min 07 sec: Is Machine Learning a Component? As CTO of FogHorn, Sastry is responsible for and oversees all technology and product development. Sastry is a results-driven technology executive with deep technology and management experience of over two and half decades. His areas of expertise include developing, leading and architecting various highly scalable and distributed systems, in the areas of Big Data, SOA, Micro Services Architecture, Application Servers, Java/J2EE/Web Services middleware, and cloud Computing to name a few. Prior to joining FogHorn as CTO, Sastry was Chief Architect of StubHub, an eBay company, where he led the technology architecture transformation and also spearheaded the Big Data initiatives and data driven decisions. Sastry was also a key technology executive at eBay leading the technology re-platforming effort from its monolithic architecture to the distributed, and scalable service-oriented architecture enabling business growth. Prior to joining eBay, Sastry was co-founder and CTO of OpenGridSolutions, founding member and architect at SpikeSource, and an architect at Oracle. Sastry frequently speaks at many technology conferences, contributes to many standards and has several patents under his belt. He holds a master’s degree from I.I.T, Kharagpur, India.